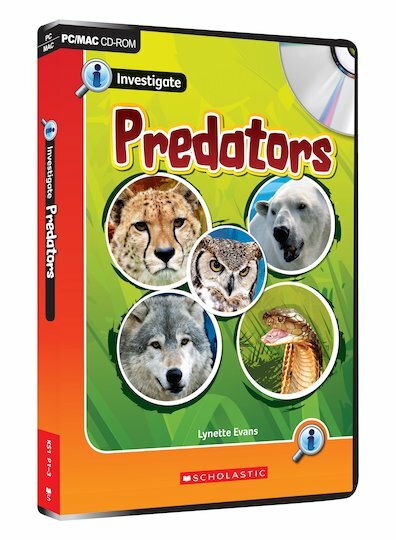 This engaging, easy-to-use CD-ROM is based on the ‘Predators’ overview book, with all the extra features that a CD-ROM can bring. It contains an onscreen version of the book which is ideal for whole-class guided reading, as well as additional video clips, games, audio files and fascinating facts. 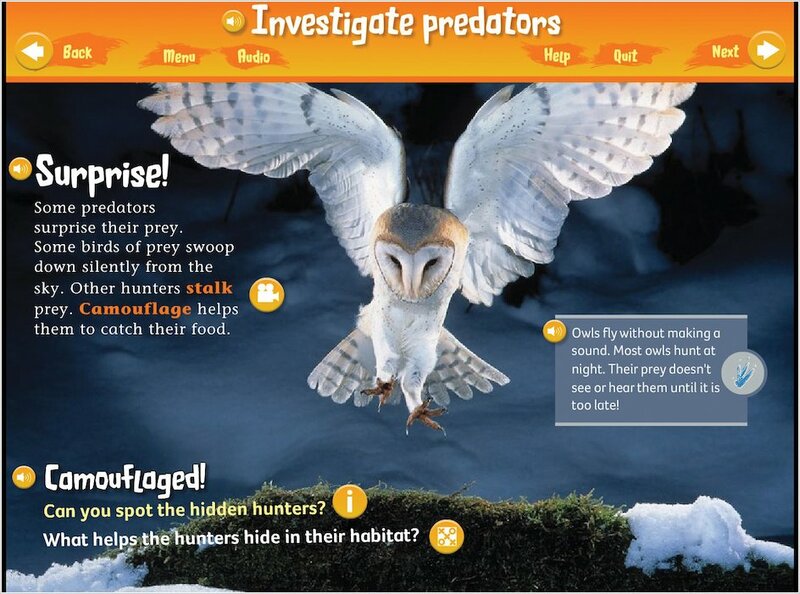 Full of stunning photos, the lively interactive format offers plenty to investigate on each screen, as well as ideas to take your learning project further.